I’m a big fan of the Amazon Kindle range of ebook readers. When I’m travelling my Amazon Kindle Paperwhite allows me to take a wide range of books in a single device — no more getting on to a plane or a train and being in the mood for reading a fiction book and finding I’ve only packed a business tome, or visa versa. 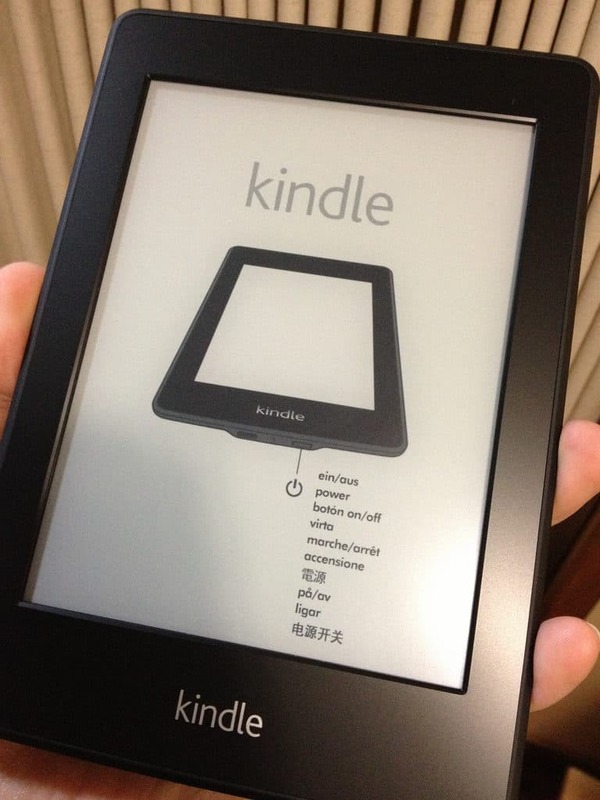 During a recent extended trip away from home, I lost my Amazon Kindle Paperwhite eReader. I suspect I’d made the schoolboy error of placing it into the mesh holder on the seat in front of me on the plane and then forget to pick it up in the hurry to leave the plane upon landing. Yes, I’m an idiot — but I’m not alone. I understand more Kindles are lost while travelling by air than any other way. Losing any electronic tech is painful, but it’s realising that losing the hardware itself is not the main problem — it’s what someone who finds that hardware can do with the data on that device without your permission. In the case of a Kindle, as well as accessing any books you’ve bought on the Kindle they can order more books through your Amazon account and theoretically use your Amazon account to cause other damage too. It’s therefore in your best interests to take steps to mitigate the potential damage of a lost Kindle as soon as you can! Steps to take before you lose your Kindle! If you’re an Amazon Kindle owner and reading this article with your Kindle safely in your possession, I’d urge you to take these steps straight away! Set a lock screen password or PIN on your Kindle. In the event of losing your Kindle, you can rest easy knowing it’s unlikely anyone can gain access to your Amazon account. Register your Kindle on Immobilise – The National Property Register. If you lose your Kindle, you’ll need to know details such as your Serial Number and purchase date. The free service from Immobilise allows you to register all the details of your Kindle for later retrieval and also allows you to report the item lost/stolen later on. Ultraviolet mark your Amazon Kindle with your address. Investing in a permanent ultraviolet marker pen allows you to invisibly UV mark the back of your Kindle with your post code and house number. In the event of your Kindle ever being recovered by the Police, you stand a greater chance of the device being returned to you as the Police will scan your device with a UV light to look for markings. Taking these steps helps you sleep easier knowing you’ve done all you can to keep your Kindle safe. But if you the worst does come to the worst, here’s what to do if you lose your Amazon Kindle. Reporting your Kindle as Lost/Stolen. The first thing to do is to report your Kindle device as lost/stolen with Amazon as soon as possible. This is important as an unprotected Kindle can be used by anybody who finds it to order books via your Amazon account and potentially do more damage besides. To De-register your Kindle visit www.amazon.co.uk/manageyourkindle. Click on “Your Devices”, find your Kindle device then click De-Register. Job done. De-registering a device prohibits purchases on that device. There’s no downside to this step — if you find your Kindle at a later date, you can re-register it with Amazon to use again without any issue. While de-registering your Kindle prevents any abuse of your Amazon account, it still stings to think that whoever has found the lost/stolen device may choose to use it themselves rather than hand it in. By asking Amazon Support to blacklist your device, you can prevent the device from being registered to any other Amazon user. The device is effectively a brick. Contact Amazon support via the Amazon web site and provide them with your model number and serial number and ask them to blacklist the device. If you find your Kindle at a later date, rest assured you can remove the Blacklist status and reuse the device yourself — blacklisting merely prevents anybody else using the Kindle. If you’ve registered your device on the Immobilise web site, then you can log in to Immobilise and mark your Kindle as lost. When you report your Kindle as lost, you’ll be block your Kindle from being traded wherever buyers use CheckMEND and also allow local Police forces to cross any devices they find against the Immobilise register. It’s also worth notifying the authorities at the location you believe you lost your Kindle. Most airports have a dedicated lost and found service that can re-unite you with any tech that is handed in. Finally, the web site KindleReunion.com allows people who have lost Amazon Kindle eReaders to be connected with those who have found Kindles! The site is free to use and you never know who may also be using the site to try to find you to reunite you with your lost Kindle! The Amazon Kindle is a fantastic device for reading on the move but like most tech it is susceptible to being lost and/or becoming a target for thieves. If you’re a Kindle owner, I’d urge you to set a lock screen password on your Kindle now, as well as registering your device through Immobilise — five minutes worth of actions now can help save a lot of heartache later. I had a PIN on my Kindle and knowing it’s secure helped ease the pain of losing my Kindle somewhat. If you’re unfortunate enough to lose your Kindle then taking steps to de-register it at Amazon as soon as possible is important. Make sure to report the device lost with the relevant authorities too — you never do know, you may be reunited with your Kindle after all!